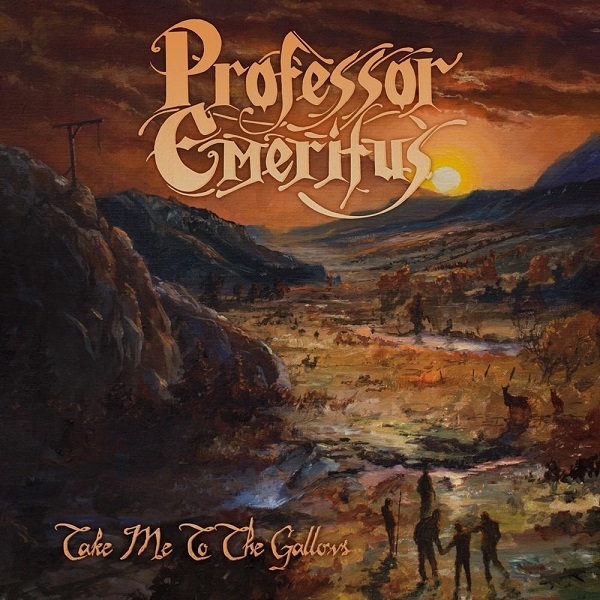 "Take Me To The Gallows" is the debut album from the traditional metal / doom metal band from Chicago USA, PROFESSOR EMERITUS. PROFESSOR EMERITUS consists of well-known metal musicians of the Chicago underground metal scene, past and present members of bands like SATANʼS HALLOW, MOROS NYX and TIGER FIGHT. The album artwork was done by the highly acclaimed artist, Adam Burke, famous by his recent works with bands such as ETERNAL CHAMPION, PORTRAIT and PAGAN ALTAR. Highly recommended for fans of CANDLEMASS, SORCERER, MANOWAR and BLACK SABBATH.